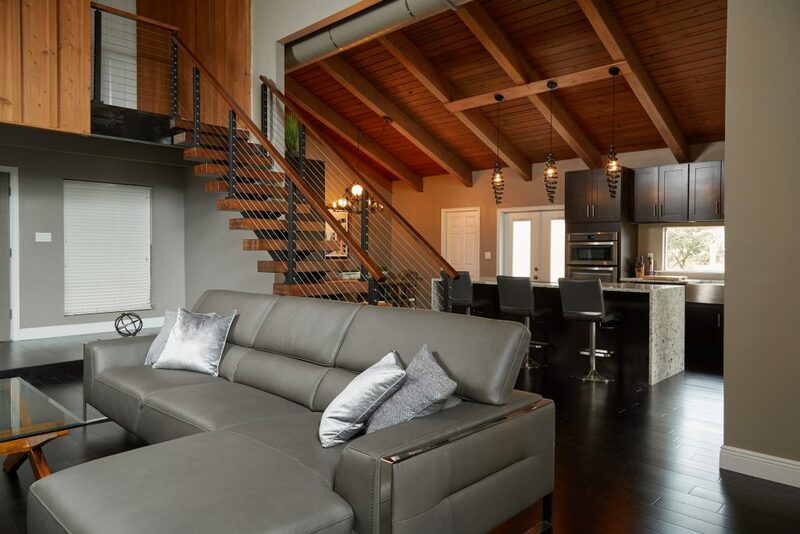 Viewrail FLIGHT transforms this once closed-off space into an open-concept masterpiece. 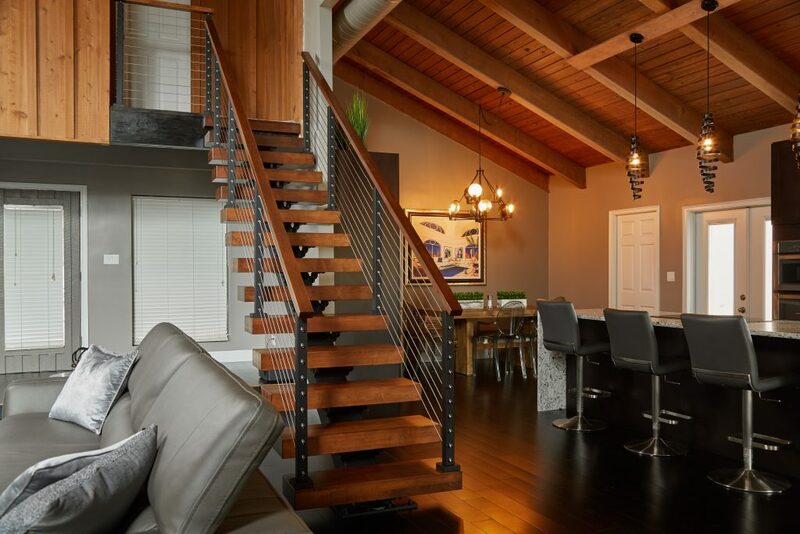 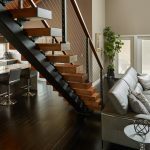 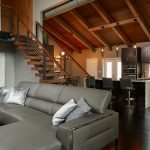 Maple treads and handrail coordinate flawlessly with the existing wood-beamed ceiling, while the Black powder coat on both the monostringer and the aluminum posts compliment the modern, dark accents in the rest of the space. 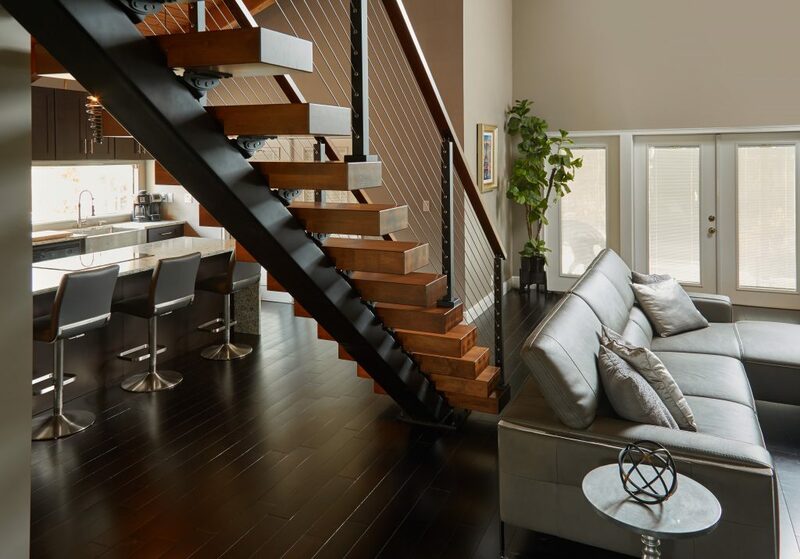 Cable railing unites the design, establishing a space that is contemporary but also comfortable.